Steel case, hands, case back, lock system, and bracelet. 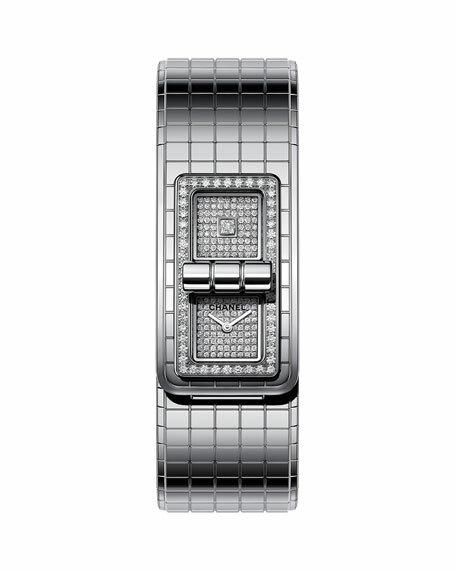 Bezel : set with 52 brilliant-cut diamonds (0.58 carat weight). 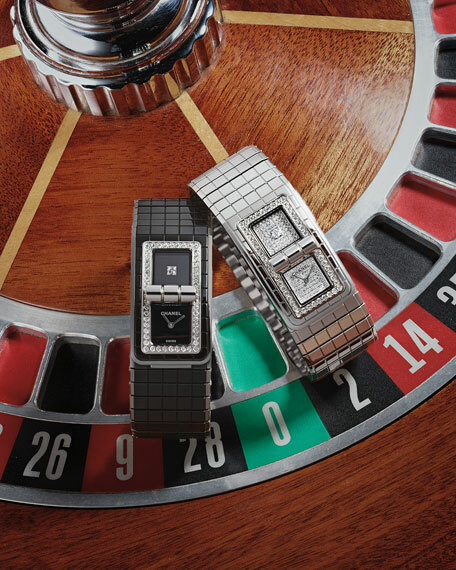 Two dials set with 172 diamonds (0.52 carat weight), one set with a princess-cut diamond (0.05 carat weight). Approx. 38.1 x 21.5 mm.